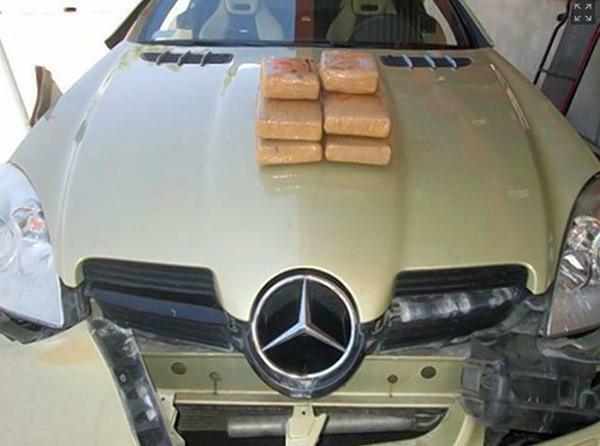 A model was busted with $134,000 worth of cocaine when her over-flirting drew suspicions from border patrol officers. Anett Pikula was attempting to cross an Arizona border checkpoint when she was stopped, and the officers decided she was being “overly talkative”. They brought out a sniffer dog that found the stash hidden inside a secret compartment. The 39-year old Mexican had just been granted US citizenship. Her Instagram describes her life as, “romance, suspense, drama, action, cartoons”. And now jail. So remember this the next time you’re smuggling large quantities of cocaine into America – play it cool. Border patrol officers are apparently immune to your womanly charms.